Walmart-backed Flipkart is betting big on categories like grocery, furniture and its range of private labels to bring new customers onboard its platform as well as expand its share in the user's wallet, according to CEO Kalyan Krishnamurthy. Speaking to PTI, Krishnamurthy said Flipkart will continue to invest in innovation for consumers and sellers in the coming year as it focusses on "impactful, inclusive growth" to get the next set of 200 million Indians shopping online. "E-commerce continues to happen heavily in the more traditional categories like consumer electronics, fashion, appliances, home goods... we need to ensure that a lot more categories get into the fold of (online) shopping. That's the reason we are solving for a lot more categories," he said. Krishnamurthy said segments like grocery, furniture and even refurbished goods will play an important role in attracting more customers to its platform -- with many of them shopping online for the first time. "Today, barely 20-25 per cent of customer's wallet is served by e-commerce categories but if you solve for these new categories, suddenly that goes to 70-75 per cent of the wallet served," he explained. Flipkart -- which competes head-on with American rival, Amazon in the Indian market -- clinched the biggest retail deal in the country this year with Walmart picking up 77 per cent stake for $16 billion. "We are investing heavily across the customers' journey -- right from getting them to the platform, to their browsing and shopping experience to the delivery and post purchase experience of installation. E-commerce is still at a growing stage...experience plays a crucial role in driving repeat purchases," he explained. He added that by providing quality, affordable goods on its platform, Flipkart is well-poised to bring the next 200 million customers into the e-commerce fold. Asked about adding languages to its platform, Krishnamurthy said this would be done but the development would take some time. "There is a difference between launching a product and solving for a construct. What players in the market do is launch their products and then try and understand and optimise. We will eventually offer multiple languages to the Indian customer but there is no timeline because we want to ensure that we offer the right thing to the customer," he added. 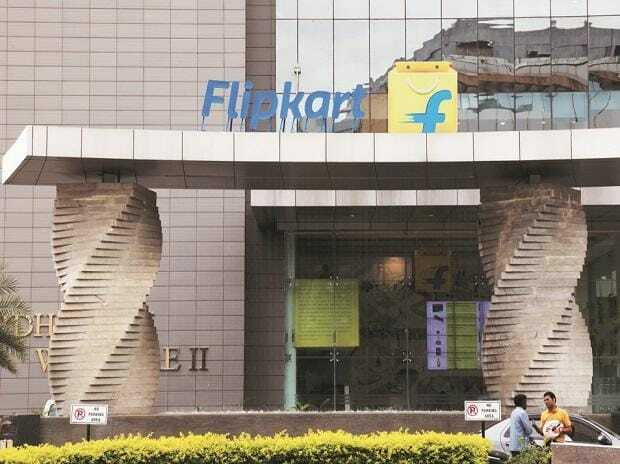 The company, which has seen many senior-level exits this year - the latest being co-founder Binny Bansal, remains unperturbed and believes that 2019 will be a "watershed year" for Flipkart Group. "We are the leaders by a far distance in key e-commerce categories like mobile, fashion, large appliances, as established repeatedly by independent market observers. In the coming year, we will continue to lead in these areas," Krishnamurthy said.